No matter how many buildings we may build, huts always manage to look artistic. What shall I say, 'huts' off to our forefathers! A larger version of the complete panaroma available by clicking on the image below. Right on! true a hut has it own look... nice shot.. panaromic veiw n all...nice addition :) oh thanks 4 teaching me abt rss.. i saw this pic coz of that..well keep it going n take care. 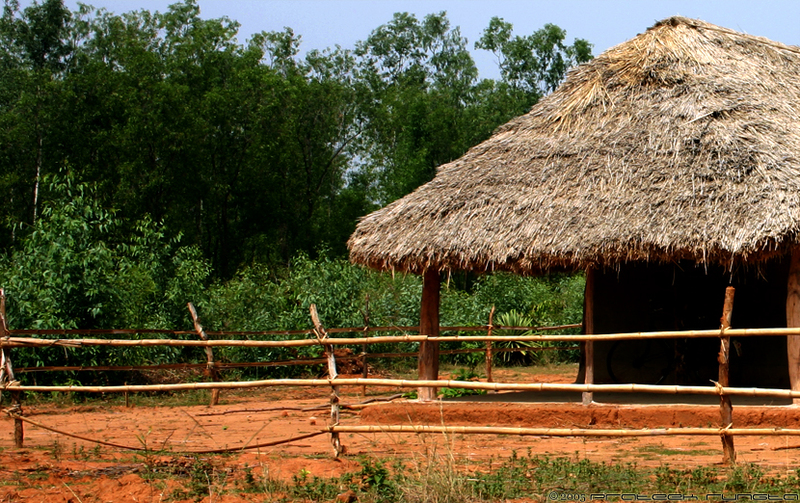 Truly speaking though i have gone to many parts of India & TN, i havent seen such a view of a hut. Great pic. Speaks to a great deal bout rural India..The lush forest green forest in the backdrop adds to its beauty..